The Turf & Ornamental Communicators Association (TOCA) Foundation offers the first TOCA marketing internship. STUDENT APPLICATION. The marketing internship program is funded through the TOCA Foundation by Den/Sandy Gardner and Dave Hansen. The Gardners are owners of Gardner & Gardner Communications, a marketing/association management firm based in New Prague, MN. Hansen is the Partner/CEO of Swanson Russell, a marketing communications firm based in Lincoln, NE. Under this new internship program, TOCA will coordinate the internship program and selection. TOCA member companies that are involved in public relations activities will host the intern. This is a five-year commitment by Hansen and the Gardners. Internship will be worth $5,000 -- $4,000 as a stipend and $1,000 to be used to attend and assist in the execution of the TOCA annual meeting in May 2019. The internship will be 8-10 weeks long and begin approximately in May 2019. The deadline for applying to host the intern is mid-December. The host organization will be chosen by the end of this year. Student applications are due April 15. Intern will be chosen by a representative of the host organization, along with a representative of the sponsoring parties, plus one board member and/or the chair of the TOCA Futures Committee. The Turf & Ornamental Communicators Association (TOCA) is now in year six of the TOCA Media internship program. Sponsored by Bayer, the internship program involves the selection of a college student for an eight- to 10-week summer employment with a green industry publication that's a member of TOCA. 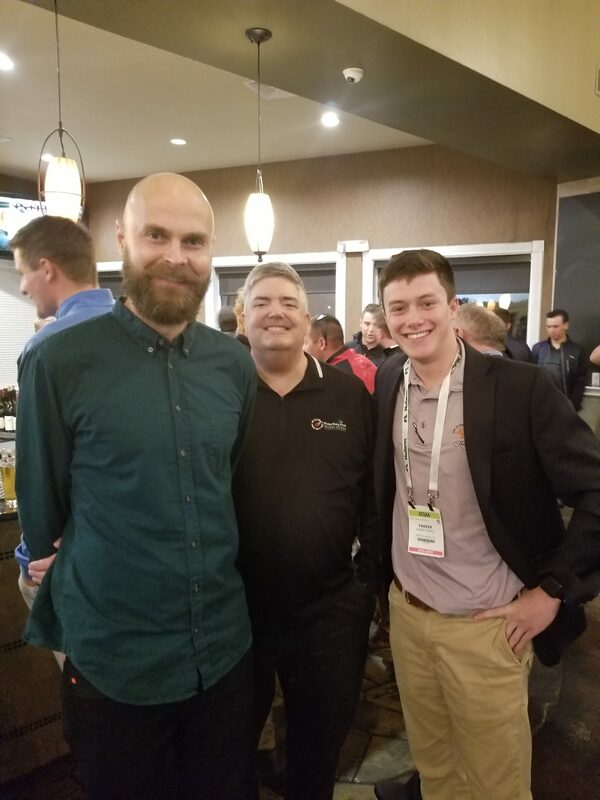 2018 TOCA intern Parker Stancil (right), with Jon Kiger from media host TurfNet, and course host assistant superintendent Kristian Jensen. The 2018 internship was awarded to Parker Stancil, who will intern under superintendent Aidan O'Hara and assistant Kristian Jensen at the Great Northern golf club in Denmark. 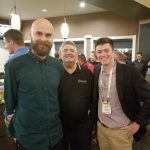 Parker will provide regular blog updates from Denmark for TurfNet. For more information, email/call Den Gardner or Kristy Mach at the TOCA office for more information – toca@gandgcomm.com or (952/758-6340).